Indulge your skin and your senses with every wash. This revitalizing body wash combines natural Coconut Oil and Vitamin E to leave skin hydrated and moisturised. Lime Extract invigorates and refreshes. 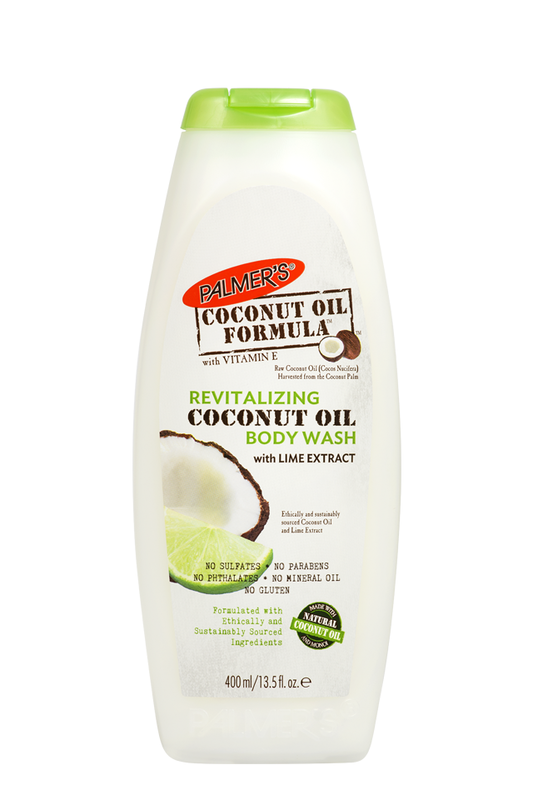 The easiest way to know you're pampering your skin from the moment you hit the shower, Palmer's Revitalizing Coconut Oil Body Wash with Lime Extract doesn't contain sulphates, parabens, phthalates, mineral oil or gluten. Lime Extract – Uplifting and invigorating natural oil with aromatherapy benefits.